A few weeks ago we packed up the kiddo and headed off to Tanglewood in the Berkshires for a great concert by the Boston Symphony. 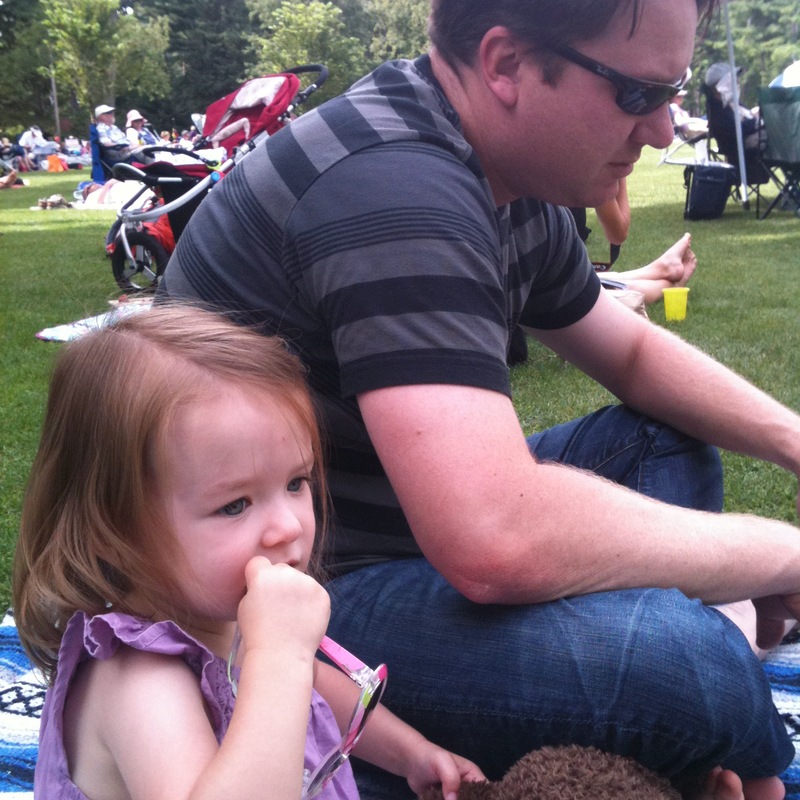 We got lawn seats – did you know they are FREE for kids 17 and younger! There were tons of kids there and M did a relatively good job of staying quiet and still. She did take a walk or two with her dad to get up closer and see the instruments. For several days afterwards she would tell me this whole story every time we got in the car about how you have to be quiet when the music comes on. I realized that it was because the blanket we sat on that afternoon was still in the backseat and it was reminding her. So cute. The trip was well timed, as it was during our second Open House. 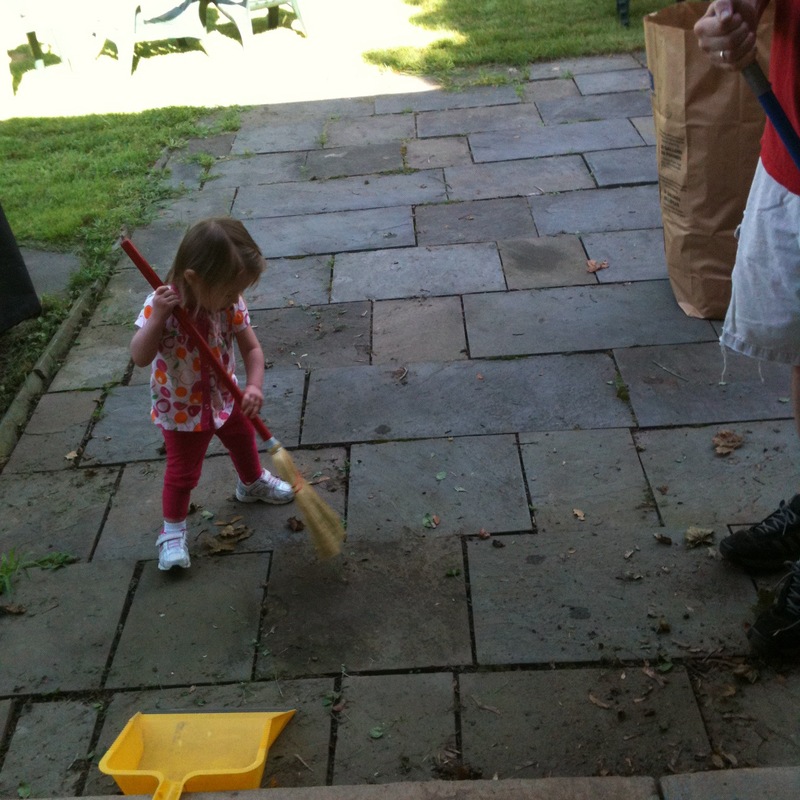 M and her dad spent the morning outside doing yard work while I was inside scrubbing and hiding clutter. She’s such a good helper.